Last year Google introduced an impressive new app and service combination at their final event in San Francisco. We are talking about updating of Google Play Service. The latest feature of Google Play Service is to the gaming experience on Android has opened up many doors that were closed previously. 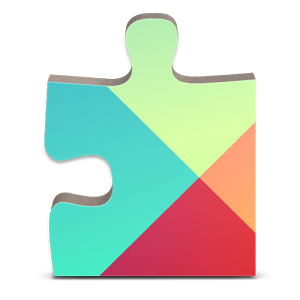 Google Play provides some excited features like an easy to see who play the games while access to integrated leader board and achievements, and access to Google+ profiles of other players. Because of Google Play service, we started to play games and the gaming experience on the android has been enjoyable and exciting. Today, Google has updated its popular Google Play service. In latest version of Google Play, some useful new features and facilities that will make using it that exciting than before. Version 4.1 supports for turn based multiplayer, as well as improved battery life for the users. There have also been some minor changes and improvement to ad targeting and enhancement to Google+ of Play Services integration. The update may be Showing up for some and if not showing then go ahead and download now. The updates have just stared so it will take some time to reach everyone. The best feature of this update for the gamers is the turn based turn-based multiplayer feature. This feature will allow game developers to build up game that you can play with friend or relatives. Other facilities is auto matched players and the ability to play up to 8 players in the game. The other some changes that Google has include here the Drive API, which you can read and write the files. Drive is also now available offline mode apps from Google. You can access this file while you are offline as soon as you reconnect, it will synchronize to your drive account.